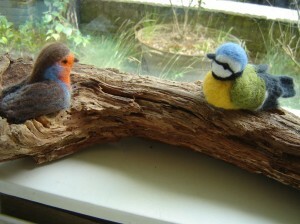 Today is the last schoolday for my children and also the day the eldest toddlers say goodbye to kindergarten. The youngest children all bring small presents like seashells or a nice rock or a little handmade gift for the children who leave the class. The teachers also get a gift from the parents to say goodbye and thank them for the years behind. 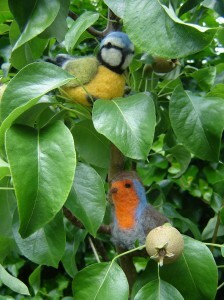 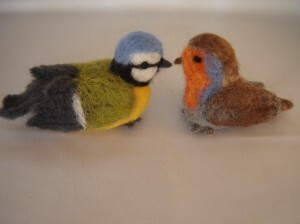 This year I was asked to make a gift for one of the teachers and I made these needle felted birds.